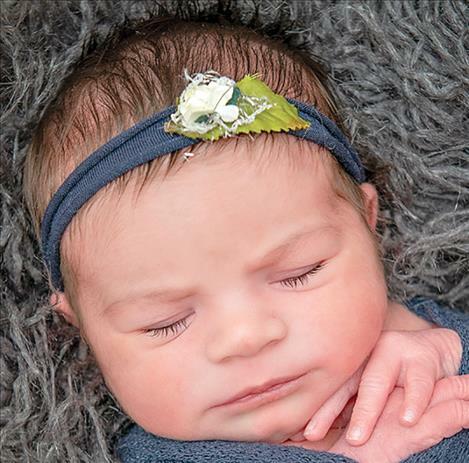 POLSON — Baisley Dayle Leona Schweyer was born Dec. 30, 2018, at the Nesting Place in Providence St. Joseph Medical Center. She was 19 and one-half inches long and weighed 7 pounds, 6 ounces. Her parents are Zayna Irish and Robert Schweyer of Ronan. Baisley has a sister, Evelyn. Maternal grandparents are Doyle Irish and Lisa and Tim Corbett. Maternal great-grandparents are Doris and Chuck Jennison, Charlotte and Don Irish and LaVerne Sandsmark. Paternal grandparents are Mae and Kim Schweyer. Paternal great-grandparents are Georgia and Keith McCammon. 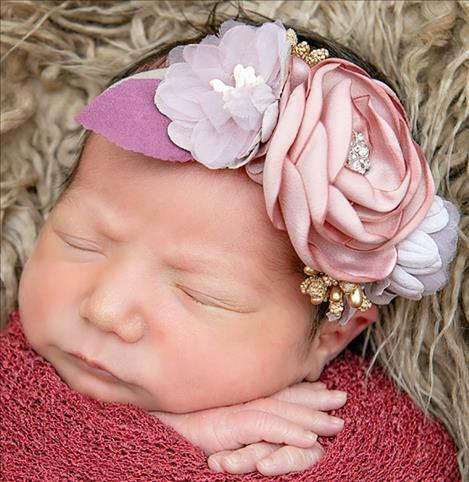 POLSON — Daphne Pearl Peasley was born Dec. 31, 2018, at the Nesting Place in Providence St. Joseph Medical Center. She was 20 and one-half inches long and weighed 8 pounds, 6 ounces. Her parents are Sandra and Chance Peasley of Polson. Daphne has a big brother, Wyatt. Maternal grandparents are Kelly and Scott Stewart. Paternal grandparents are Mel and Wade Peasley.